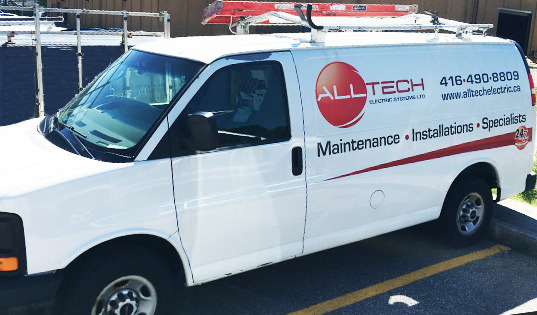 All Tech Electric Systems Ltd is an Electrical Service and Repair company located in Toronto, Ontario with over 15 years of service experience. Whether your requirements are Residential, Commercial or Industrial we offer a full range of electrical services from simple repairs & trouble-shooting to full electrical system installations. We take pride in our commitment to providing Customer Satisfaction by earning the trust of Customer’s by providing top notch quality service with fully licensed Technicians to ensure the job has been completed safely & correctly.